Yesterday, in Cigar Association of America v. U.S. Food and Drug Administration, the United States District Court for the District of Columbia held that the FDA's new rule requiring health warnings for cigars did not violate the First Amendment. 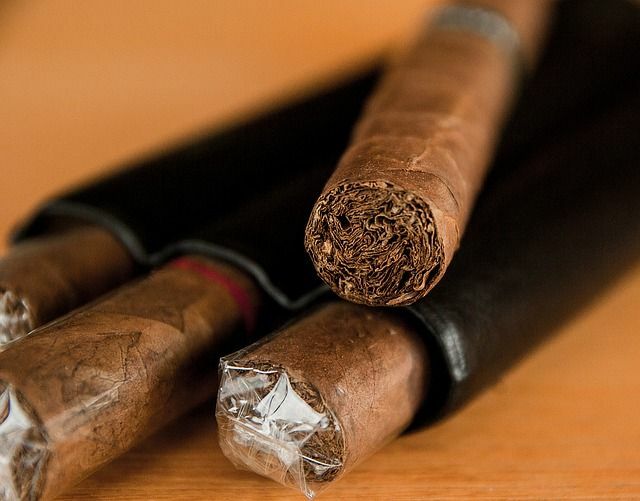 By way of background, in May 2016, the FDA published a final rule "deeming" cigars, pipe tobacco, and certain other products subject to the Food, Drug & Cosmetic Act. The new rule also imposed comprehensive warning statement requirements, for both cigar product packaging and advertisements. Most cigars were actually already subject to warning requirements due to settlements entered into in 2000 with the Federal Trade Commission. In those settlements, the seven largest U.S. cigar companies were required to "clearly and conspicuously" display one of five health warning statements on their advertising and packaging. The settlements also include requirements about the size, placement, and formatting of the health warnings. The FDA's new rule requires that cigar packaging display one of six health warning statements on a rotating basis, such as "WARNING: Cigar smoking can cause cancers of the mouth and throat, even if you do not inhale," "WARNING: Cigar smoking can cause lung cancer and heart disease," and "WARNING: Cigars are not a safe alternative to cigarettes." Each of the warning statements "must be randomly displayed in each 12-month period, in as equal number of times as is possible on each brand of cigar sold in product packaging and be randomly distributed in all areas of the United States in which the product is marketed." In advertising, the health warning statements "must be rotated quarterly in alternating sequence in each advertisement for each brand of cigar." The rule also specifies the placement and size of the required health warnings, which are significantly more demanding than what was required under the FTC settlements. For packaging, the warning must be "located in a conspicuous and prominent place on the two principal display panels of the package" comprising "at least 30 percent of each of the principal display panels." For advertising, the warning statement must be located in the "upper portion of the advertisement" and occupy "at least 20 percent of the area of the advertisement." The rule also includes disclosure requirements for cigars sold individually. The plaintiffs sued, alleging, among other things, that the rule's health warning requirements violated the First Amendment. The plaintiffs argued that the rule violated the First Amendment for two reasons: (1) increasing the size of the new health warnings unconstitutionally restricts speech by "crowding out" manufacturers' and retailers' ability to communicate with consumers; and (2) requiring them to submit a warning rotation plan to the FDA before they can communicate with consumers constitutes an unconstitutional prior restraint on speech. Recognizing that commercial speech enjoys First Amendment protection that is "less extensive" than that afforded noncommercial speech, the court held that the FDA's new rule must satisfy the Zauderer "relaxed standard of review" -- that the rule be reasonably related to the government's interest and not so unjustifiably or unduly burdensome as to chill protected commercial speech. The court found that the rule satisfied the standard. The court said that the FDA identified a substantial government interest, which was to educate the public about the health risks associated with cigar and pipe tobacco use. The court also held that the size, format, and other design features of the warning requirements were reasonably related to the government's goal of providing accurate information about, and curing misperceptions regarding, the health consequences of cigar use. The court also determined that the rule is not so unjustified or unduly burdensome as to chill protected speech. Finally, the court did not reach the plaintiffs' prior restraint argument, saying that they had not raised this issue in their complaint.